Combining post-rock with psychedelia, shoegaze, indie rock, and pop, the U.K.-based Engineers construct dense walls of kaleidoscopic sound on “Three Fact Fader.” “Three Fact Fader” is the band’s sophomore full-length release coming on the heels of their debut released four years ago. The music of Engineers is a lush, dreamy expanse of emotionally charged sonic tapestry. Production, technology, performance, and songwriting play equally important parts in the overall Engineers experience. The lead-off track, “Clean Coloured Wire,” is as catchy as singles get these days while disc-ender “What Pushed Us Together” rocks in a happy ‘60s kind of way. “Sometimes I Realize” recalls Year of the Rabbit and “Hang Your Head” invokes melancholy through grunge-colored lenses. Once on the brink of being a casualty of the retrenching music establishment, Engineers have struck a chord that has resonated with their fans and beyond. Engineers will likely represent the budding future of music that is defined by quality and genuinely positive fan response rather than the mechanizations of a record company. 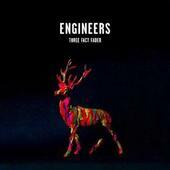 Engineers’ “Three Fact Fader” will appeal to fans of the mellower aspects of post-rock and progressive music. “Three Fact Fader” was produced by Ken Thomas and Engineers. Engineers is Simon Phipps on vocals, Dan MacBean on guitars, Mark Peters on bass, and Andrew Sweeney on drums. For more information visit http://www.myspace.com/engineers0.